[Background: I’ve been assembling photographs of Ann Daingerfield Zwicky (born Ann Walcutt Daingerfield) as a present for my grand-daughter. Ann died about 20 years before Opal was born, so Opal doesn’t know much about her. Exploring records can be a vexing task. They are riddled with errors, large and small: plenty of typos, mis-spellings, misreadings, unverified reporting, dubious recollections, and speculation. 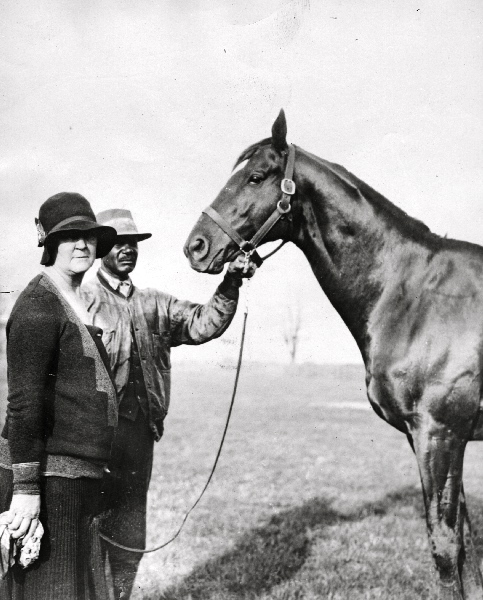 My Daingerfield adventure started with the account of Foxhall A. Daingerfield (a celebrated breeder and trainer of thoroughbreds) and his daughter Elizabeth Daingerfield (equally famous in this field), in the 1922 History of Kentucky, vol. 4, by William Ellis Connelley and Ellis Merton Coulter. The late Foxhall A. Daingerfield [hereafter FAD] was born in Rockingham County, Virginia, at Westwood, February 8, 1839 [father LeRoy Parker Daingerfield, mother Juliet Octavia Parker]. He was educated at Washington and Lee University in Virginia, in the class that was broken up by the outbreak of the war between the states. During the war he served as captain under General Stuart in the Eleventh Virginia Cavalry, was promoted to major of the regiment, and was five times wounded. Following the war he practiced law at Harrisonburg, Virginia, for a quarter of a century, and then took up the breeding of trotting horses at Culpeper. He remained there until he accepted the invitation of his brother-in-law, Mr. [James R.] Keene, to take charge of Castleton [Farm, outside of Lexington, Kentucky]. [The assertion that James R. Keene was FAD’s brother-in-law is dubious.] He was largely responsible for Castleton’s fame as a thoroughbred selection center, and he also made the home widely known for its hospitality, and during his life entertained many prominent people there. Foxhall A. Daingerfield married Miss Nettie Gray [Henrietta H. Gray], of Harrisonburg, Virginia, who is still living. [m. 23 Nov. 1863 in Rockingham Co. Va.] She was the mother of eight children: Algernon, secretary of the Jockey Club of New York [b. June 1867]; J. Keene, an attorney at Lexington [b. Jan. 1886 in Va.]; Bessie Parker [Isabella P. b. 1864 in Va., d. 8 May 1944 in Fayette Co. Ky.]; Miss Elizabeth [Elizabeth P., b. 1870 in Va., d. 9 Dec. 1951 in Fayette Co. Ky.; note the honorific “Miss Elizabeth” — she was also known as “Miss Lizzie”]; Henderson; Mrs. A. C. Norman, of Seattle, Washington [this is messed up: Henderson — the only one of these people I actually knew — was Mrs. Attilla C. Norman, and a son, William, is missing from the list]; Juliet Parker [b. Apr. 1876 in Va., d. 20 May 1945 in Fayette Co. Ky.; listed as Julia in the 1910 census, Julia Octavia P. Daingerfield in the 1880 census]; and Mary J., wife of A. C. Van Winkle, a Louisville attorney [b. Feb. 1881 in Va.]. Major Foxhall Alexander Daingerfield initially opposed secession but was often cited for gallantry in combat. A graduate of the law school of Washington College (now Washington and Lee University) [note correction of the History of Kentucky account], he served as a major in the Eleventh Virginia Cavalry. In the fall of 1861, he served as an orderly and courier to Gen. Robert E. Lee. After the war, he served for a time as mayor of Harrisonburg, Clerk of the Court for Rockingham County, and eventually moved to Kentucky where he served on the Kentucky State Racing Commission. 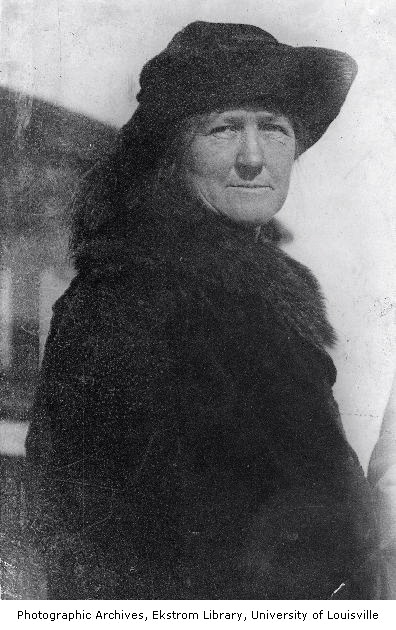 His wife,”Nettie” Gray Daingerfield was the daughter of Algernon S. Gray, a delegate from Rockingham County to the Virginia Secession Convention. She was also an author, having published the book, “That Dear Old Sword,” in 1903. There are several sub-stories here, which I’ll take up in other postings: the interlocking of James R. Keene with FAD, the tale of Algernon Daingerfield, the history of his son Foxhall A. Daingerfield Jr. (known as “Fox” to everyone), and the interlocked stories of two Kentucky horse farms, Castleton and Haylands (both still operating). In any case, FAD lived a long and complex life. Isabella P. Daingerfield (“Bessie”) (1864-1944) . Never married. Algernon Daingerfield (1867-1945). Twice married, one child by each wife. Elizabeth P. Daingerfield (“Lizzie”) (1870-1951). Never married. Juliet Parker Daingerfield / J. Octavia P. Daingerfield (“Jule”) (1876-1945). Never married. Mary J. Daingerfield (“Jay”) (1881-?). Married, at least one child [I’m still researching Jay]. James Keene Daingerfield (“Keene”) (1886-1947) [hereafter JKD]. Married, two children. JKD was the youngest of the set. His son, J. Keene Daingerfield Jr., or simply Keene, was Ann Daingerfield Zwicky’s father; after the University of Virginia, Keene went into one of the family businesses (training racehorses) and then became a racing steward (in effect, a judge, thus approaching the other of the family businesses, the law), ending his working life as the senior state steward for the state of Kentucky (judging races at Churchill Downs in Louisville and Keeneland in Lexington). We get from FAD to Opal in 5 steps: JKD, Keene, Ann, Elizabeth, Opal. So FAD is Opal’s parent^5, her great-great-great-grandfather. Brief note on Lizzie: She took over the management of Castleton Farm in 1913 after her father (FAD) died. She moved to Haylands farm in 1918 and also managed the Hinata stock farm; the great racehorse Man o’ War entered stud there in 1921. She then assumed management of Faraway farm when it was bought for her by Samuel D. Riddle, owner of Man o’ War, and managed Faraway until Oct. 10, 1930, when she resigned because of ill health. She died Dec. 9, 1951 at a nursing home in Lexington. I’m still searching for a photo of a young Ann on the back of Man o’ War. This entry was posted on December 28, 2011 at 11:12 am and is filed under My life, Names. You can follow any responses to this entry through the RSS 2.0 feed. You can leave a response, or trackback from your own site. Thanks so much, Coley. Your sister Liz had already given me most of the immediate family tree, and I’ve been trying to work all this into some sort of comprehensible posting for my grand-daughter. Read a couple of other posts and would add a few things. Aunt Henderson Norman was a brilliant person. She died at 93 having lived most of her life on Bainbridge Island, an original flower child. She read the Bible in 7 languages and corresponded with me until her death about 1968. She was an absolute lady and great intellect. In one letter about 1967 she wrote of sitting in Judge Parker’s lap while he talked law with the Major. I realized later that that that was the Judge Parker who sentenced John Brown. Nettie Gray wrote a wonderful recollection of the family’s servants “Our Mammy”. 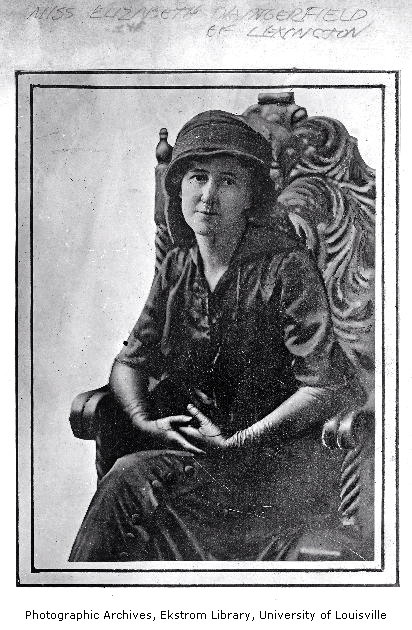 the frontispiece of which is a photo of Mammy, who said she was an African princess, holding Jay. In one letter about 1967 she wrote of sitting in Judge Parker’s lap while he talked law with the Major. I realized later that that that was the Judge Parker who sentenced John Brown. Well, this turns out to be hard to figure out. The most relevant judge was Henderson’s uncle William, but he was a Judge Daingerfield, not a Judge Parker, and his dates (1824-1880) are wrong for the Judge Richard Parker who sentenced John Brown (1810-1893). So if there’s a connection here, it’s through Henderson’s grandmother, Juliet Octavia Parker (JOP). The John Brown Judge Parker could have been Henderson’s great-uncle (JOP’s brother) or maybe her first cousin once removed (JOP’s nephew) or something more distant. But I’m bogged down in Virginia Parkers at the moment. I recently read a book about Yankee depredations on Virginia’s Northern Neck during the war. Many of them were led by Lt. Foxhall A. Parker, USN. (The book even has a report of the Yankees stealing horses from our Newton home place, “Linden” at Hague, Va.) I googled Parker and his middle name was Alexander and he was from Virginia….Had to be the Majors cousin. Embarrassing. Hello, So sorry to barge in on your family tree. I was interested to see if Ms. Daingerfield had any children who might take piti on an old lady to LOVES Man O’ War more than life itself. But I see she never married, much like myself. I enjoyed reading about the family history of this very lucky woman who got to take care of the greatest horse ever. Thank you for letting me share and good luck to you all. Hello! I thought you might be interested in the fact that Keeneland Library in Lexington KY has some pictures of Elizabeth Lizzie Dangerfield (and a copy of an article in The Throughbred Record about her) and of Man o’ War. I don’t know if Ann is in any of them but I thought you might like to know. In reply to your post five years ago I wonder is that Woodbine Cemetary in Harrisonburg Virginia? Your family’s history was part of a project I did at James Madison University years ago.